Once the Summer Capital of the British India, Shimla is truly a perfect place to enjoy weekend. Now the capital of Himachal Pradesh, it is a Hill station up north, offering a great view. The place still has the touch of British architecture and designs in certain places; just walking around the Mall is pleasurable. Nothing like the mainstream Indian climate, Shimla is very cool and fresh. The lush green Hills and the snow capped mountains stand tall, making it a very scenic place. 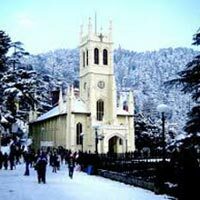 A weekend trip to Shimla will totally be a leisure holiday with family Or friends. This trip will be worthwhile because it will give you a different experience of tranquility altogether. 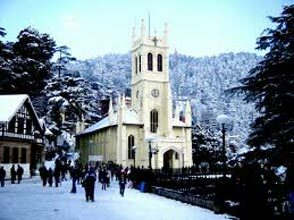 The package trip, Shimla short escape will be a good idea to cover best places of Shimla in Himachal Pradesh.